The last day of school is quickly approaching for all my boys. Jered just took his last final today and Max's last day of class is May 31st. 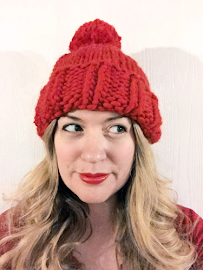 Even though we are super busy with a graduation party, Cub Scout picnic, Family camping trip, Maya's birthday, and Shimek school picnic, I'm trying to figure out what to do with the boys this summer. I have not signed them up for any actives as we are trying to move closer to my work and Jered's college. 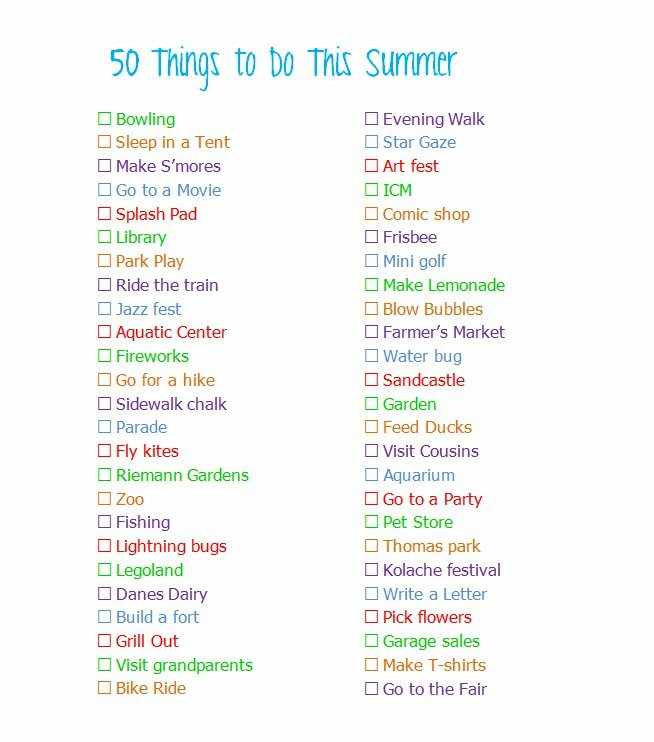 My plan is to take a photo of doing each of these 50 things this summer - let's see if I can stick to it! 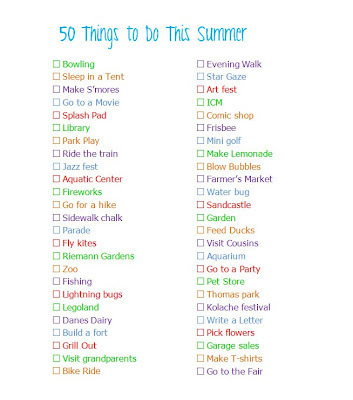 What's on your list this summer?